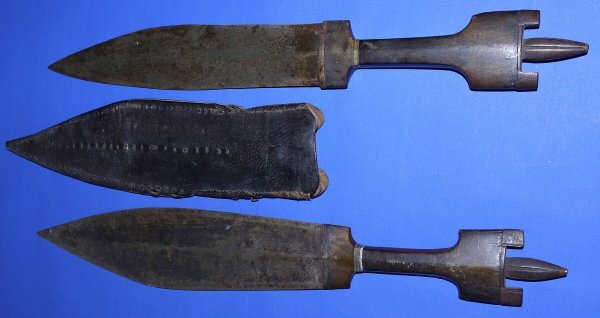 In good condition, two 19C Somalian / Somali Billaou Daggers. 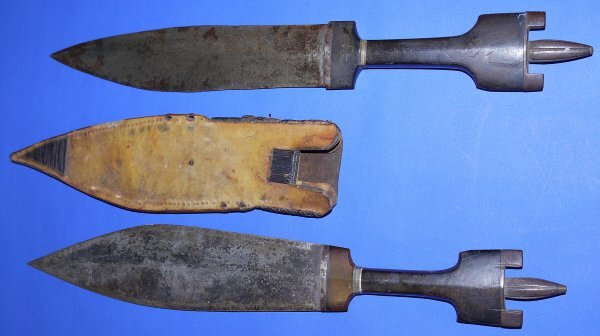 9 3/16 inch blade on one (total length 15 inches), 8 5/8 inch on the other (15 5/8 inches total when sheathed); the later having a sheath. All good and very sharp (be careful when unsheaving). Some patina / inert rust to blade but not much. Some slight damage / age to hilts / grips, again not much.